The new initiative comes as part of the Department of Education’s drive to address the increasing number of mental health issues that students report during their time at university. The training programme will cover issues such as managing finances, expectations of student life, managing social media and making friends. According to Universities UK, the number of undergraduate and postgraduate students entering higher education and disclosing mental health conditions to their university institution has increased significantly in the last 10 years. Figures from 2016-17 show that 49,265 undergraduates and 8,040 postgraduates reported their struggles with mental illness. With an increasing number of students applying for higher education and greater awareness on the topic of mental health, more support will be given to students in their first year at university to cope with the demands of university life. The Government is urging institutions to make a more vigorous attempt at educating young people about the reality of studying at higher education. Since The Prince’s Trust started reporting mental health issues in 2009, it has found that young people have the lowest levels of happiness and confidence in their mental health. For instance, 50% of mental health issues are established by the age of 14 and 75% established by 24. 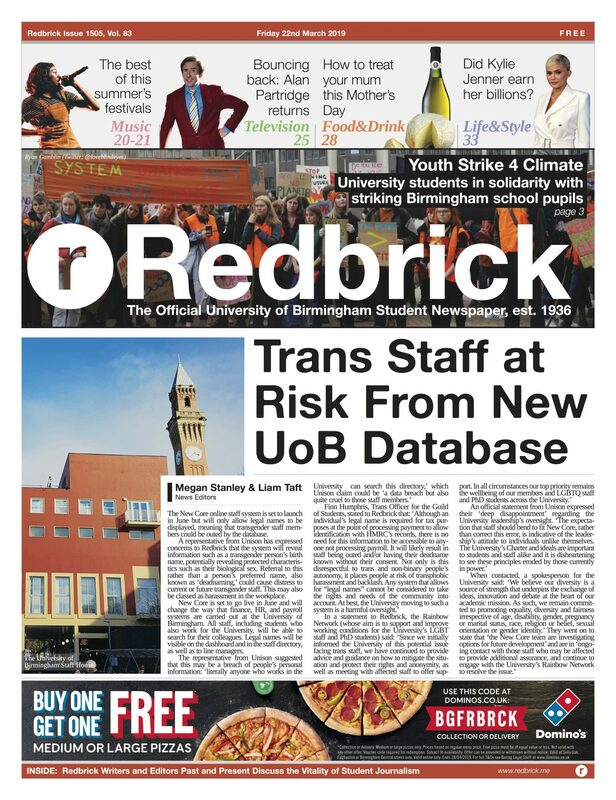 Redbrick spoke to a final year Business Management student at UoB who said, ‘it is good that such training will be provided to future university students as it will make them aware of the different methods of tackling student life as well as the support they can receive at university. News Writer. Final year Business Management with Marketing student.